Long considered to be the best all-around format, the MeoStar® 42mm binocular series has developed the well-deserved reputation of being among the finest in the world. Class-leading wide FOV and extremely flat field lets you take in more image and makes for effortless, distortion-free panning. MB5501 TM ion assisted lens multi-coatings deliver maximum brightness in all conditions with pin point resolution and crystal clear edge-to-edge performance. An ergonomically shaped armor design with sculpted thumb pockets encourages a balanced, secure hold for extra comfort during extended glassing sessions. 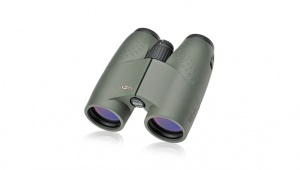 If you’re looking for the finest, do-it-all binocular, your search is over. 8x42 – Extremely wide field of view of 411 ft. Excellent choice for an all-around birding and nature watching binocular. Purchase through PayPal by using the "Add To Cart" button above or use the form below to order the Meopta Meostar 8x42 . Feel free to contact us if you have any questions about the Meopta Meostar 8x42 .